On August 1st, we’re proud to be hosting a Coworking Day in Sarajevo. Come join us for a day of working on Toptal client work, sharing ideas, and talking about the latest trends in technology. 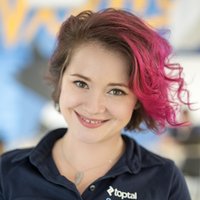 This is an opportunity to meet other Toptalers from your community, including our Community Leader for Sarajevo, Ines Avdić-Zekić, who will answer any questions you have about working for Toptal. If you happen to be in the area between 10:00 AM and 7:00 PM that day, make sure to join us at HUB387, a brand new wonderfully designed coworking space.